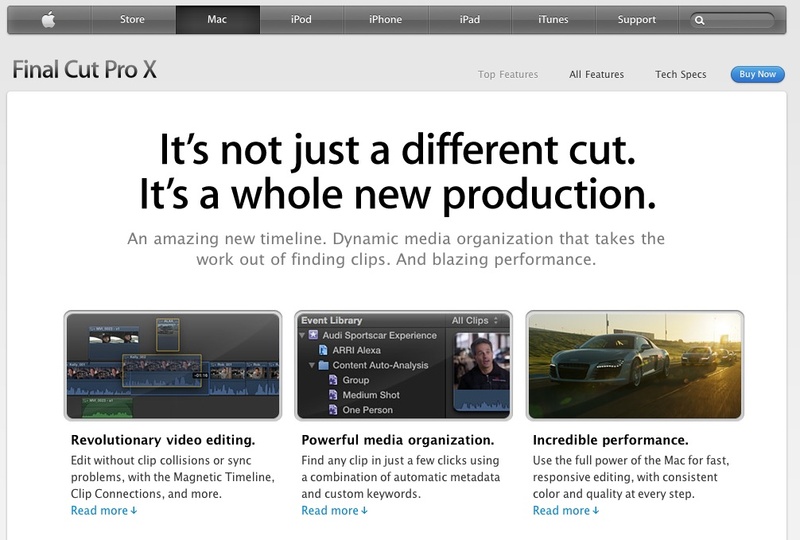 I received an email in my inbox stating that Final Cut Pro X has been released today .... for those of you who do not know what final cut pro is, it's a non-linear editing software used by professionals. *Side note: I work for a post production company in NY. We basically edit television commercials so this topic is dear to my heart. 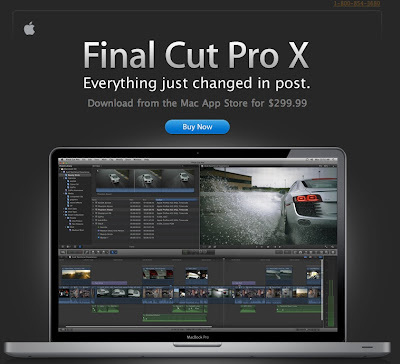 Originally Final Cut Pro Studio would costs a few thousand dollars (basically the price of purchasing a new imac). This was only an issue if you were a freelance editor, counting costs or just making videos for the hell of it. #1 - The price!!!!! @_@ - FCPX is only $299.99 - That's a huge price difference. 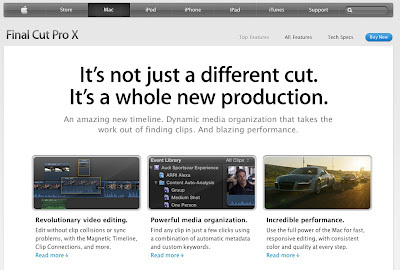 I'm sure Apple is going to make a killing and this will encourage everyone to start editing with this system. 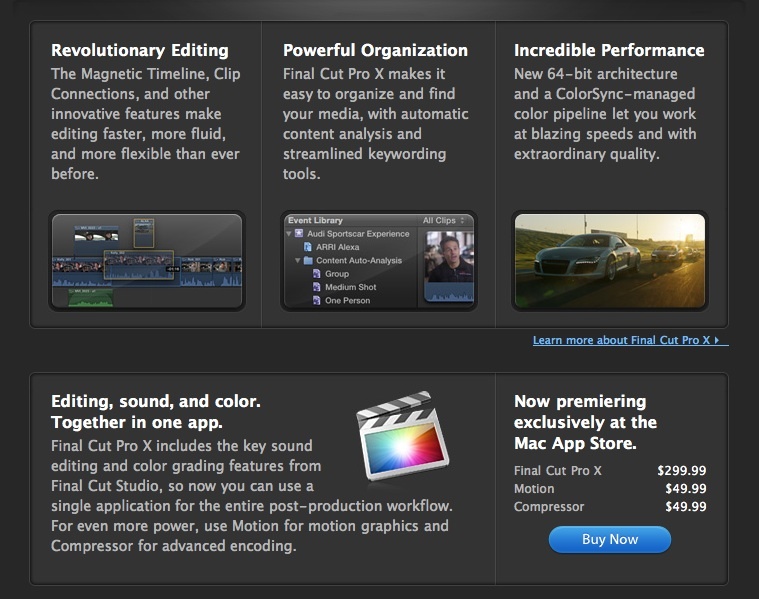 #2 - Secondly, FCPX is sold in the Mac App Store. Holy Shizzle! 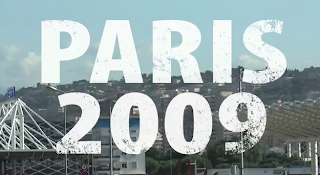 Do you guys know what that means!??!?!?! In the past, when you purchase FCP Studio you would receive a box full of audio, final cut, and motion discs and it would take hours to load them all in. Now all you have to do is download it to your computer. (I do not know how long the download will take but I can't imagine it taking more than an hour. Now, on the post production side this program may not be utilized right away. Apple will have to make a few changes to the new program. If you work in post production you will know the importance of creating an EDL, XML, or OMF for your telecine, or mix sessions. I was told that FCPX is unable to generate the above files. I've also been told that there is no way to capture from video tape. I know that sounds ancient but in post you receive a lot of project formats. So on one hand FCPX is NOW consumer friendly and I imagine that more of my friends will use this program and on the other hand this new program will make professional editors appreciate what they've got. I have not had a chance to play around with the program but as soon as I do I'll either blog or tweet about it. Thanks for reading rant. I'm sure I'll write about this again. 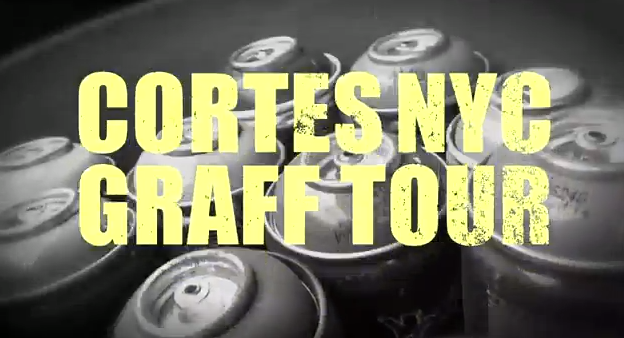 I woke up wanting to do this .. who's in?!?!?!? I'm back from vacation and I've been a little busy bee.. so many errands and no time... and my day job has kept me from attending all of the lovely Internet Week parties..
And lastly, tomorrow I will be on a panel at an event called Tech Munch. Tech Munch is a 1-day conference for food bloggers and food lovers... it's an event that keeps the food/Internet world up to date on how to spread your content and how to maintain your sanity. It's going to be a blast. I'm going over my panel questions now. I'm sure I'll be twittering and taking pics once my panel is completed. Today's my 2nd day here and it's pure bliss. My friend Ngozi and I have been enjoying the beach, pool, restaurants and just came back from town. We accidentally ended up in the Bahamas Labor Day Parade. So far it's been a good trip.